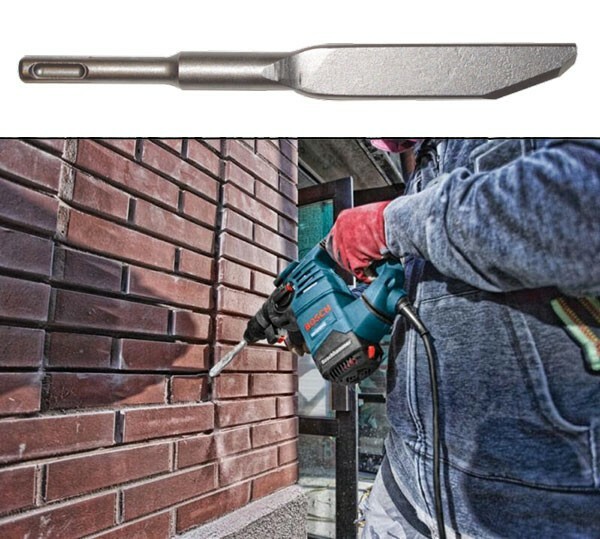 Bosch is introducing a new SDS-Plus Mortar Knife Attachment that they say provides faster and easier mortar removal from between bricks, block and, stone. Either that, or it is the fastest butter knife attachment on the market. "The mortar knife works like a conventional knife so the precision is great. That's important when the project involves expensive stone or brick, or a historic facade that cannot be replaced," said Matt Van, product manager, concrete accessories, Bosch. "No company has ever adapted this centuries-old knife design to tuckpointing in renovation and construction. The combination of accuracy and speed cannot be beat." 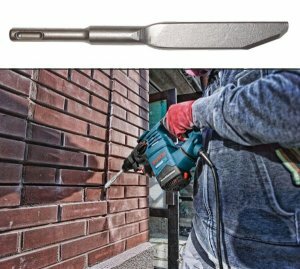 You can get the mortar knife in 1/4-inch and 3/8-inch widths to best match your mortar thickness, and they have an 8-inch working depth that can reach far in between mortar joints. They will be available this summer with a suggest retail price of $20.